The BRK 7010BA is a 110V hardwired smoke detector utilizing photoelectronic smoke sensing technology. This model features a 9V battery backup to keep it working during power failures, and a battery lock to keep batteries from being removed or stolen. It has a single button for testing and for temporarily silencing nuisance alarms. 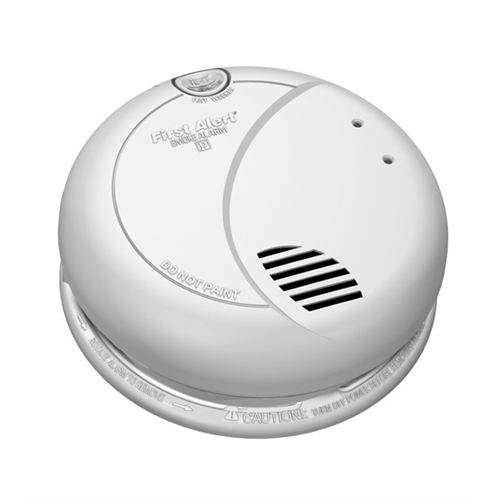 The 7010BA can be interconnected with other BRK smoke/CO alarms (up to 12 smoke alarms and 6 other devices) and it has a alarm source indicator so you can tell which detector set off the alarm. ULC approved with a 10 year warranty.